Crap Cleaner is a powerful tool to speed up Windows 8 PC. This free tool makes PC similar to brand new one, as you bought it today itself. 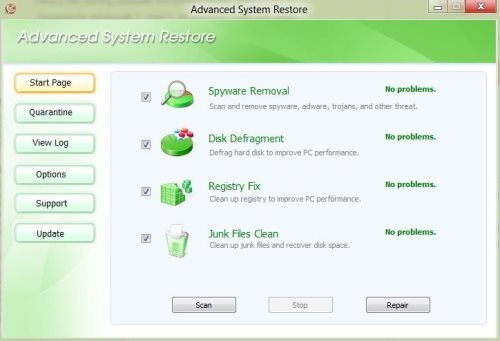 This Windows 8 Cleaner generally cleans up all the craps like temporary files, unused files and much more that has taken unnecessary space on your hard drive. You can easily regain the speed, like you get in a freshly installed Windows PC. This makes Windows 8 PC perform better with just few clicks. Still you might be expecting something more! Yes, you should always expect. It is also developed to protect all your Privacy. It cleans the cookies which normally tracks the visit and browsing history of any website. The most admirable thing on your PC is having a better and fast running PC. In addition to it, now protect against your privacy too. Cleans all browser cookies, history to protect all your privacy. Supports on multiple browser like Google Chrome, Firefox, IE and more. Go to the webpage for downloading Crap Cleaner On Your Windows 8 PC. Follow further steps of installation. Crap Cleaner is an excellent tool to makes your PC perform at peak level without much resource utilization. It is a mixture of all in-one package like repair, secure, optimize and clean. If you are fed with the slow speed of your PC and insufficient space on your hard drive. Then, you must definitely try Crap Cleaner on your Windows 8 PC.